If you’ve heard the term “blended airfoil” your next thought was probably, “What’s a blended airfoil?” Luckily, we’re here to help. 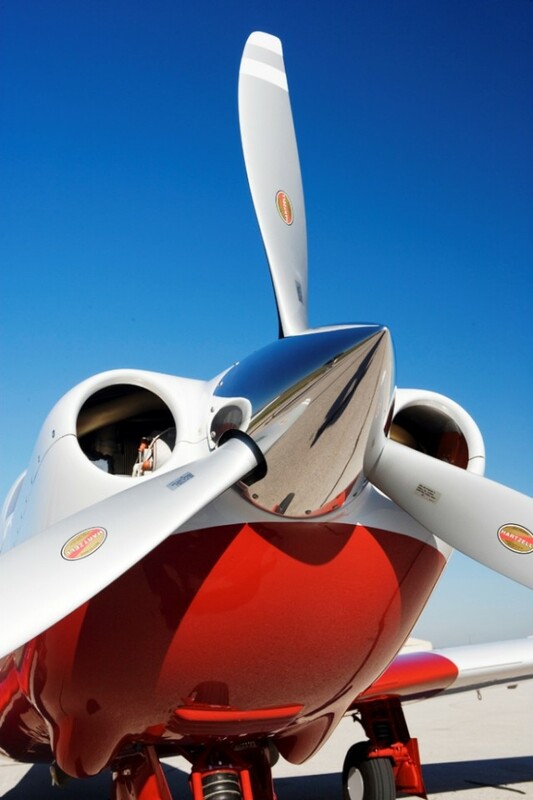 In the past, most propeller designs for aircraft equipped with piston engines made use of one basic airfoil series across the entire length of the blade, which can compromise aircraft performance or produce high noise levels. That’s why we created the Hartzell “blended” propeller design. The goals of the blended airfoil design are to produce mission-optimized propellers able to incorporate absolute maximum flight performance, reduced noise profiles, and greater blade-to-blade accuracy. This design allows us to incorporate different airfoils along progressive sections of a blade. Doing this maximizes the blade mid-section for developing low-speed thrust, while the tip sections are optimized to reduce noise levels. In addition, the blended airfoil design process was implemented in conjunction with propeller planform designs, such as our swept-tip scimitar props. When properly engineered, the use of tip sweep minimizes the strength of the sonic shock wave at the propeller blade tips. In combination with the blended airfoil designs, this can provide significant reductions in noise and increased performance. We developed this technology through our involvement in various specialized applications for NASA, as well as for record breaking propellers designed for Bruce Bohannon’s Flyin’ Tiger and for record-setting Lancairs racing at Reno.